Happy New Year! I can’t believe it’s already 2018! My ten year college reunion is in April, our 9 year wedding anniversary will be in June, and our kids are all getting so big!! Goodbye, 2017! You were good to ya, but we’re excited about 2018! Starting || the year off with my eyes in the Word (more than I ever have!) and my heart listening for Jesus. Instead of making resolutions and setting goals that I probably would never follow through with, I’m trying to go wherever God leads me. It’s a perspective shift I’m excited about! Hoping || for as successful a year as we had in 2017! We started off by getting rid of the crib (!!!) and hopefully we’ll ditch the changing table soon! We also switched our health insurance away from a private BCBS plan to Samaritan Ministries, and we are SO excited. Hoping it’s as awesome as we have heard it is! Scheduling || an already busy January. Well visits at the doctor, church activities, a wedding, a couple of birthday parties… we’ve already got a full month! Hopefully we’ll be able to keep up with it all and enjoy ourselves, too! Reading || a few goodies to begin the year. I’m on a podcast (more info to come!) about the Chronicles of Narnia, so I’ll be reading through those as we record. I’m reading Dance, Stand, Run by Jess Connolly with a friend (so convicting, in a good way!) and I just began Franny and Zooey by J.D. Salinger. When I found it on the shelf, I was actually looking for Catcher in the Rye (another book of his) but when I found this one, I figured, “Why not? !” When I finish it, I’m planning to reread A Wrinkle In Time (I LOVE Madeleine L’Engle). My only resolution/goal last year was to read for pleasure every day and not push myself through any book I wasn’t enjoying. While I didn’t quite make that (I doubt I read every day) I read a whole LOT of books (around 20, I think, which is a lot for me as a mom) and that doesn’t count books I read to the kids! Yay! So I’m thinking that I’ll just try to do that again this year, and maybe increase my number a little. I truly love reading, so it’s a self-care thing for me. It definitely lets my brain relax! Well here’s hoping for a wonderful 2018! Tell me all about what you’re up to currently!!! Currently – November Is Here! Happy November, y’all! I am loving the weather, the pumpkins on everyone’s front porches, the warm drinks, and the gorgeous colors around here these days. I’m linking up today with Anne in Residence and Julie of A Hopeful Hood. Join us and let us know what’s happening in your world currently! Realizing || that I had been pushing myself too hard. I love running, working out, and being healthy, but I wasn’t getting enough rest/sleep to support my rigorous habits. So I’m trying to take more days off (or at least take it easier) and give myself a little grace when my schedule and lifestyle just can’t fit in that long run on my training itinerary. My second half marathon will just wait until spring. Stirring || up the first cups of hot chocolate for the children, and spiced cider for myself! 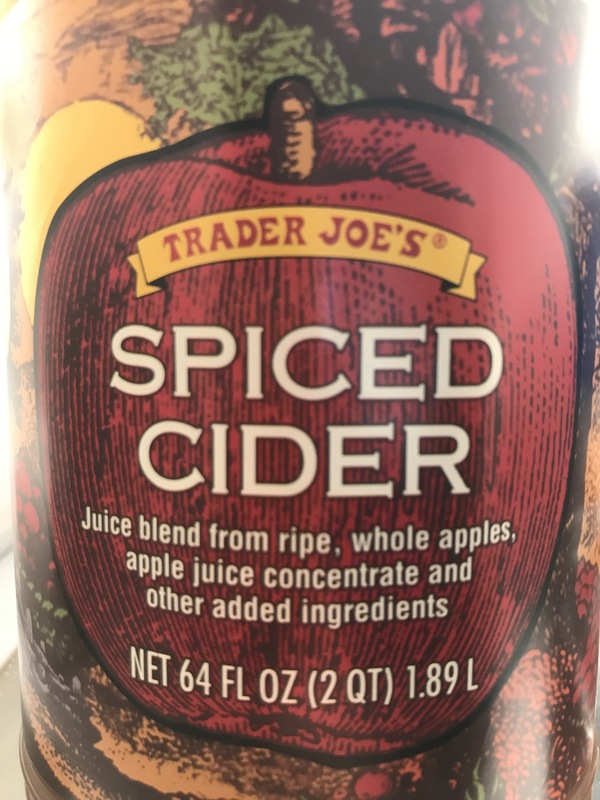 If I don’t feel like making the kiddos hot chocolate from scratch, Swiss Miss usually does the job for them… and my favorite store-bought cider is from Trader Joe’s! Less additives, more flavor – and spiked with some bourbon? Yes, please! I wanted to capture the steam coming off the top of this cup, but I didn’t quite manage it. Appreciating || the extra time I’ve spent reading recently. I’ve been watching a little less TV, listening to more podcasts (eating them UP actually – post coming soon) and reading every chance I get. “The chance” in my life right now looks like after the kids are in bed, while they’re napping, or real talk: on the toilet. 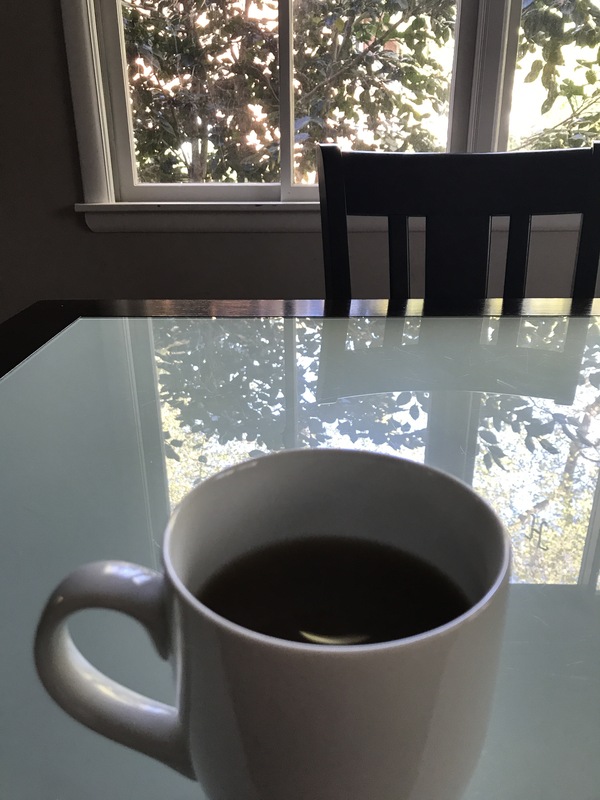 But I’m reading through several at once (usually just one novel at a time, and several non-fiction of some sort) and enjoying spending more time in the quiet with some hot tea in my hand. Here’s what I’m working with right now: top two I’m currently reading (or finishing finally), and the bottom two are next up. Not pictured: The Aviator’s Wife by Melanie Benjamin. It’s on my Kindle, which just doesn’t photograph very well. Investigating || the Enneagram, and therefore learning things about myself I didn’t know before… or, at least, I didn’t have words to describe it. 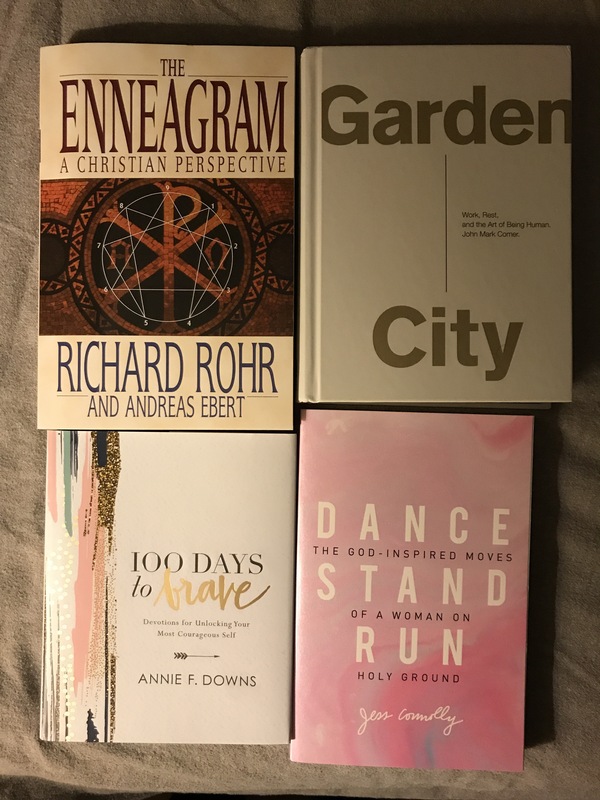 I’ve just learned about the Enneagram (check here for a synopsis of what it is if you’re new to it, too) and finding out my type, and learning about it within a Christian perspective (with resources like this). It’s been so fun to find out my number, and read up on it! I’m a 4w3, categorized by most as The Individualist or The Romantic. The other exciting thing is that our community group is going to walk through the Enneagram journey together as well! Following || Jess Connolly and Emily P. Freeman on Instagram! They’re my new follows of the month, and they post encouraging things almost every day. I’m also listening to Emily’s podcast, The Next Right Thing. And obviously I’m about to start Jess’s brand new book! And here are the only Halloween photos I got yesterday. 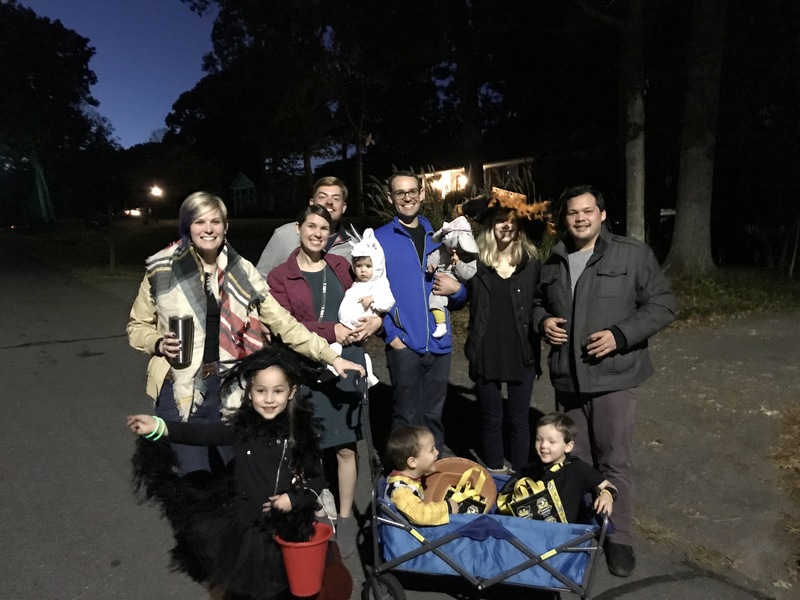 We had a great time with our neighborhood tribe, especially since we had to make up for being sick on Halloween last year! EK wanted to be “Blackbird”. As in the song by the Beatles. So obviously she won Halloween. Y’all! Is that fall I smell in the air?! I am beside myself for a this magical weather. Even if it just lasts until 10:30am, I am so excited for a cool down. It’s a glimpse of what’s to come, surely! Now if the rain would just calm down… but I know that I cannot complain, since those towards the coast are in for much worse pretty soon. Celebrating || the start of school! 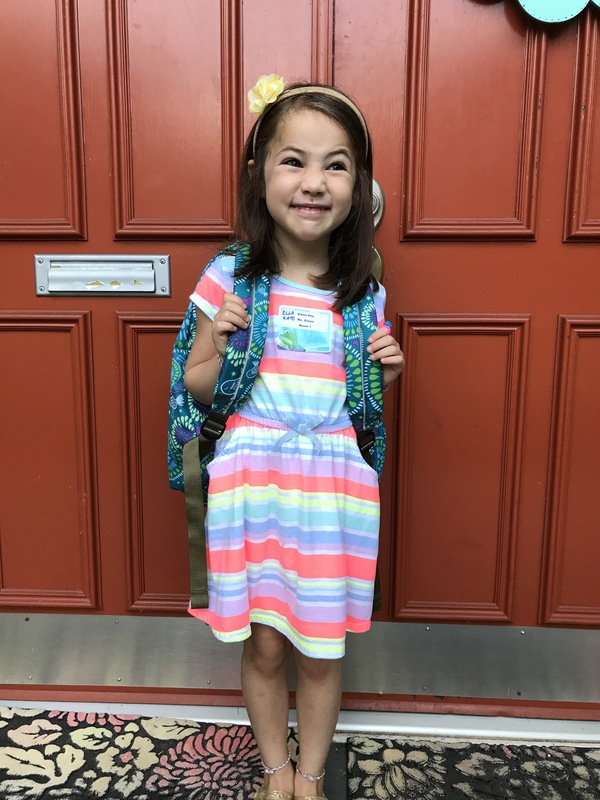 We’ve really amped up this year with our first true school experience (my oldest is off to kindergarten!) 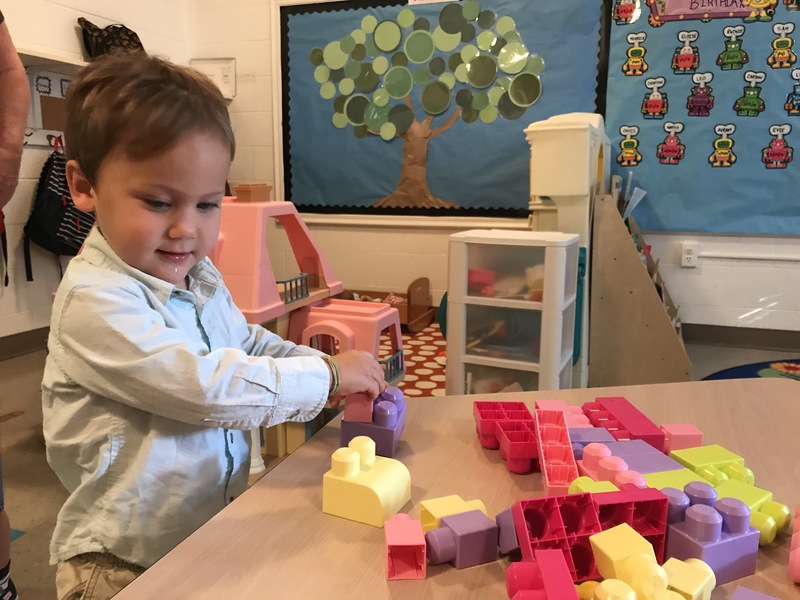 and the fact that the baby (age 2) began preschool on Tuesday and Thursday mornings. 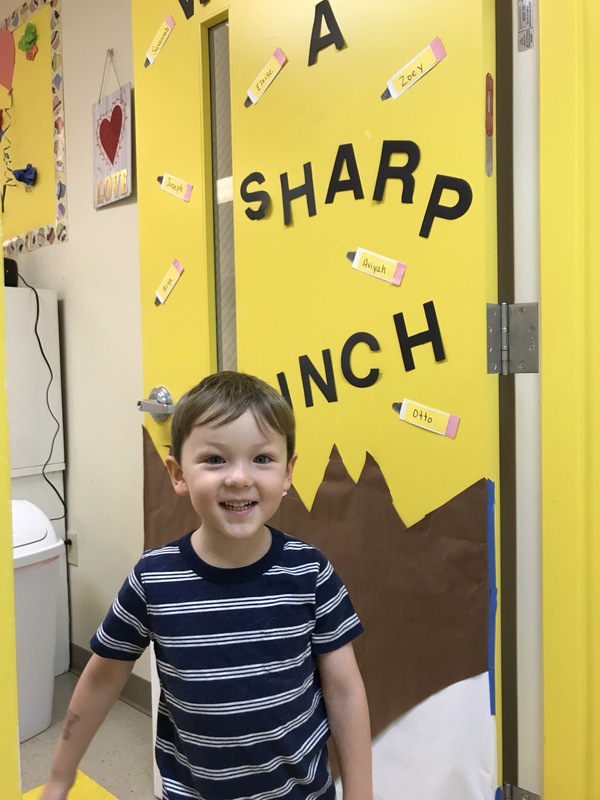 It’s blowing my mind that all three of my kids are in some sort of school! And that they’re even old enough for that to be happening at all… time flies when you’re having fun busy with small children! Welcoming || a little tease of cooler weather! All last week the high was in the mid-70s and I was not sad. 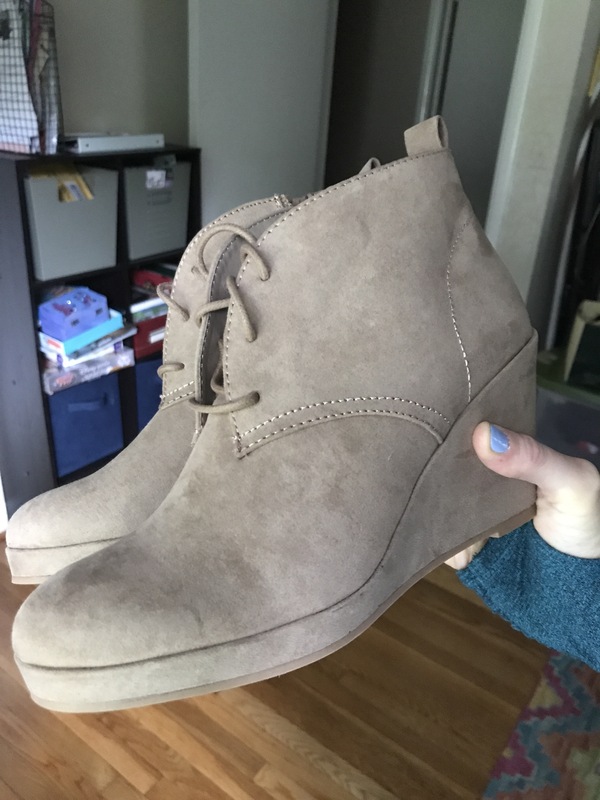 I have a new pair of suede booties that are BEGGING to be worn (thanks, Target!) and my scarves have been forlorn in my closet for months. I know that it won’t truly be cold enough for scarves here in NC for at LEAST another six weeks but I am READY! Preparing || lunches for my kinder-girl and breakfasts for all. I’ve been trying to get some semi-meal planning done, which for me isn’t necessarily preparing a week’s worth of a meal schedule, but more like baking (healthy) muffins for breakfasts (or lunch!) and making twice the amount of (again, healthy) waffles I need in one morning to cover another morning’s breakfast. I pack most of EK’s lunch the night before, since she mostly just snacks for lunch (raw carrot, pretzels, cheese, fruit, maybe a PBJ or a turkey wrap). If I’ve got leftovers I know for sure she’ll eat (here’s looking at you, mac and cheese) I’ll send those along as well. So now, tell me: what’s going on in your world currently?